There is nothing like a fresh list full of images to bring you the right amount of amusement just when you need it! Of course, in many cases funny and weird correspond to each other in a perfect way, which is why lists like this one exist! Seeing random things and people that are peculiar or puzzling never gets old, because they are different every time and just when you decided that you have already seen it all, something new shows up and you realize there is plenty of weird stuff around for all of us to admire! The job offer posted above is a fine example – they obviously want someone educated to work on a minimum wage! It is fairly to see what most people would read here instead of The Final Countdown. 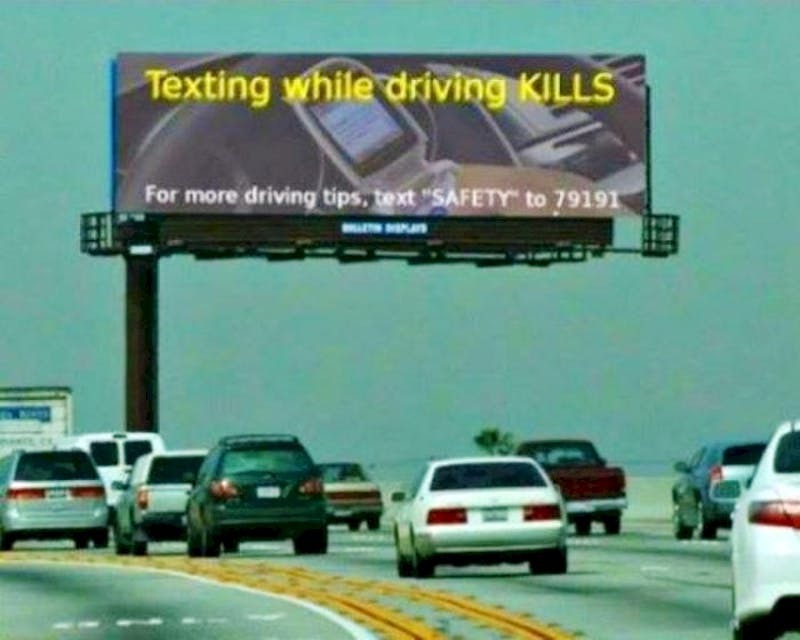 We have discussed bad design ideas many times before, but this has got to be one of the worst design fails ever! You need to look really closely in order for you to be able to read what this word actually is. We believe they realized their mistake when it was already too late to fix it! 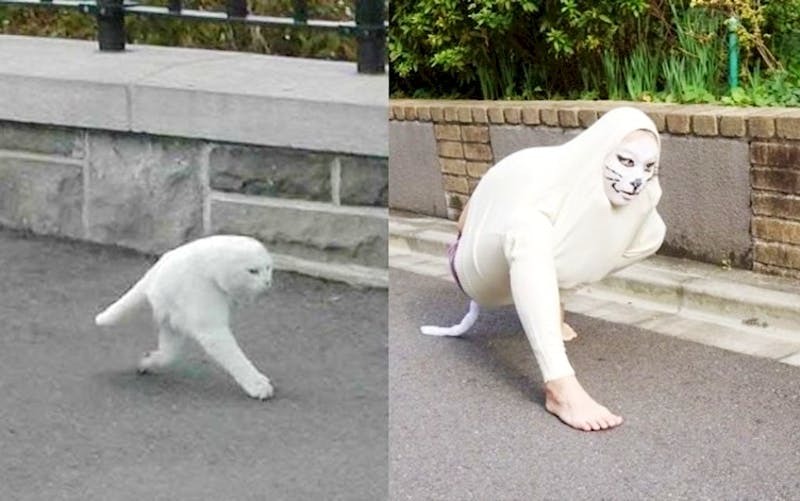 Well, the only thing that we could say about these two images is that the person pictured right tried to imitate the cat on the left, and this was actually a success. But this where the questions begin to pile up! For starters, what is up with that cat? We guess it was just the angle it was photographed that make it look weird. But what about the person who tried to replicate the image? Why did they do it, anyway? We often say that people face their true selves when they are outside of their comfort zone. 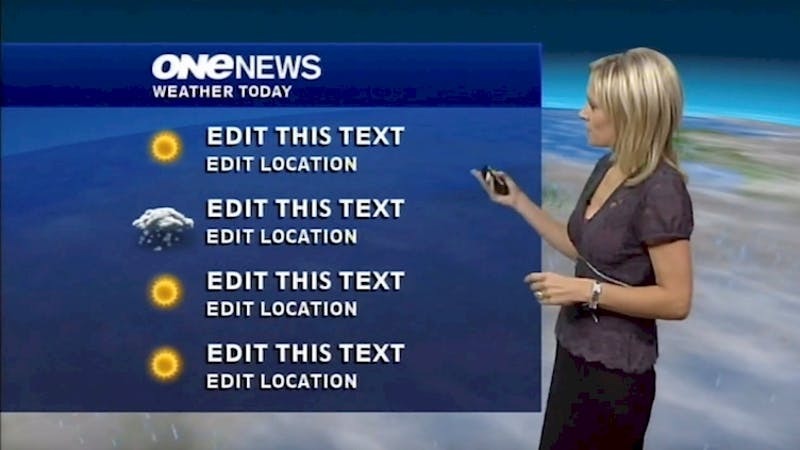 In this case, it comes to professional skills and this weather presenter was forced to improvise because she had to work with the chart you see in the photo. Everyone could read a script and smile in front of the camera, but only a real professional would be able to pull this one off. As you can see, there is something going on in the photo that requires some kind of explanation. We believe that it is nothing but decoration, and it is not an actual mouse door. 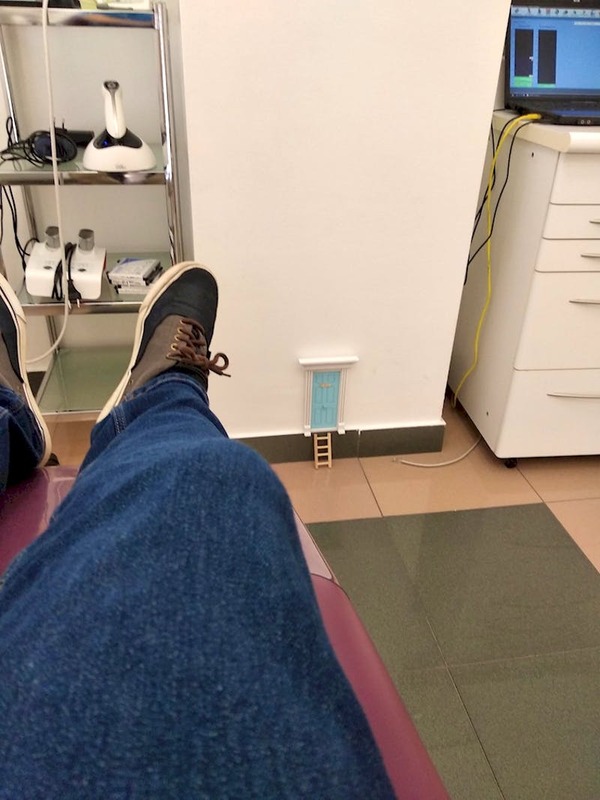 The reason why this exist might be related to the fact that some countries use mice instead of tooth-fairies when it comes to collecting teeth from under the pillow. The recent years pretty much shaped the future of cars. Within a decade or so we would probably be driving all-electric vehicles or hybrids and petrol cars will be less and less popular. 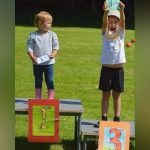 In this case, one person went ahead and did something we never saw coming! They made a car that is actually a hybrid in more than one way. 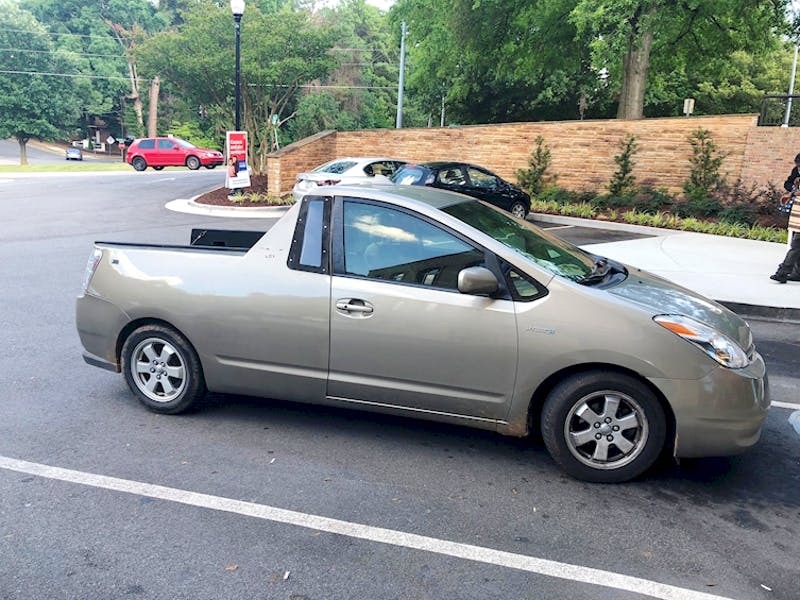 We hope this is the only Prius pickup in existence. We know how marketers always try to be creative and to reach their customers in a way that feels friendly and natural, instead of that feeling you often get, as if you were a part of a marketing research. Well, we all have been involved at least in a couple of those without even knowing it, but this is not the point here. 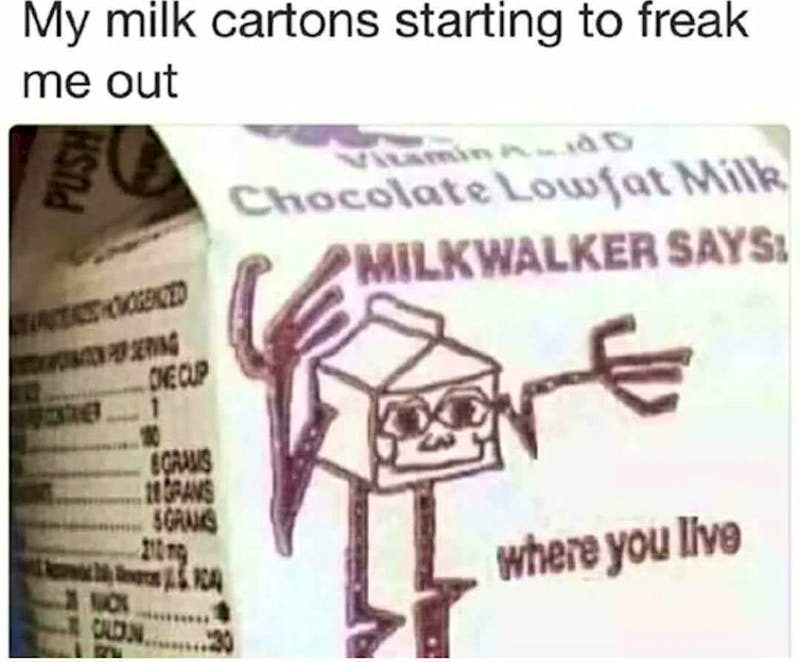 The point is that such a creepy talking cartoon milk carton should not ask you for your address! Of course, the obvious question here would be ‘what is going on in this image’. There are many different ways to answer that, depending on the story behind the image. It looks like these people are about to visit or even participate in a show of some sort, but it could also be an image meant to mock the typical girl photos! Whatever the case, this is an extraordinary image. 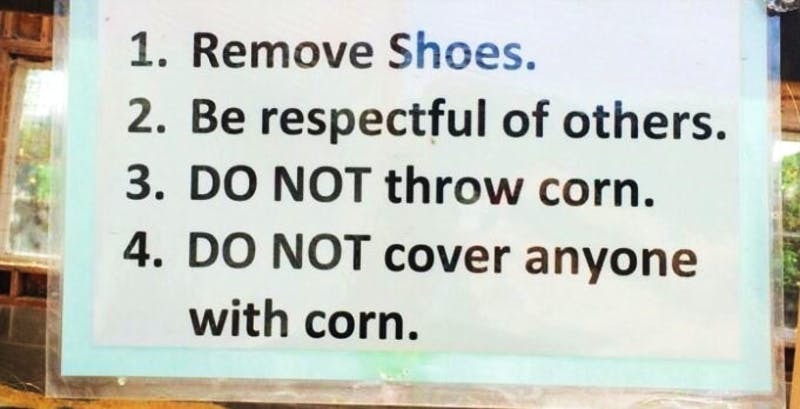 We could think of a few reasons why people would be required to remove their shoes upon entering a certain place, and it depends on the place, actually. But there are a few other instructions here related to using popcorn that we cannot explain. In order for them to write it like this, all of these things must have happened before and they just try to avoid it from happening again. 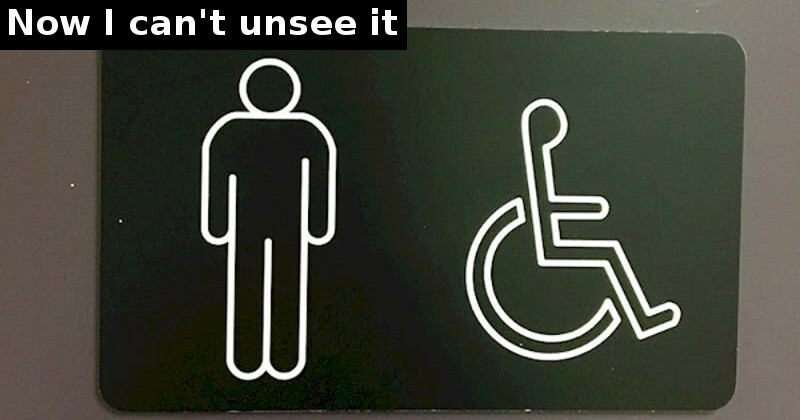 It doesn’t take much for one to realize why this sign is a bit controversial. We mean, it is obvious that the sign advises you not to do something and then encourages you to do exactly that! They should definitely rethink this idea and start over. Even taking a photo of the sign and texting later to receive the other safety tips is dangerous, as you need to use the phone while driving. 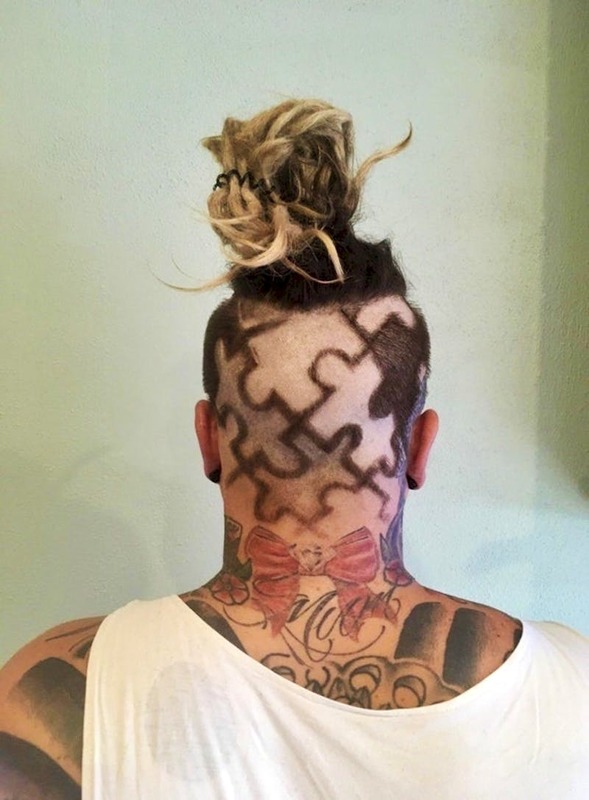 As much as we like seeing weird hairstyles, we need to admit that we were stunned by this one. The reasons for that are many, but most of them are obvious. The ideas incorporated in this one are not that bad, but we guess that combining them into on hairdo made it appear to be controversial. We are not here to judge, of course, and as long as the person is happy with that look, we are happy, too! We actually like the idea about a ‘wall of shame’, because it serves as a reminder for one’s naughty behavior and they would likely never do what they did again. In fact, others would not do such a thing as well, because they would not like it if their name happened to be on that wall. 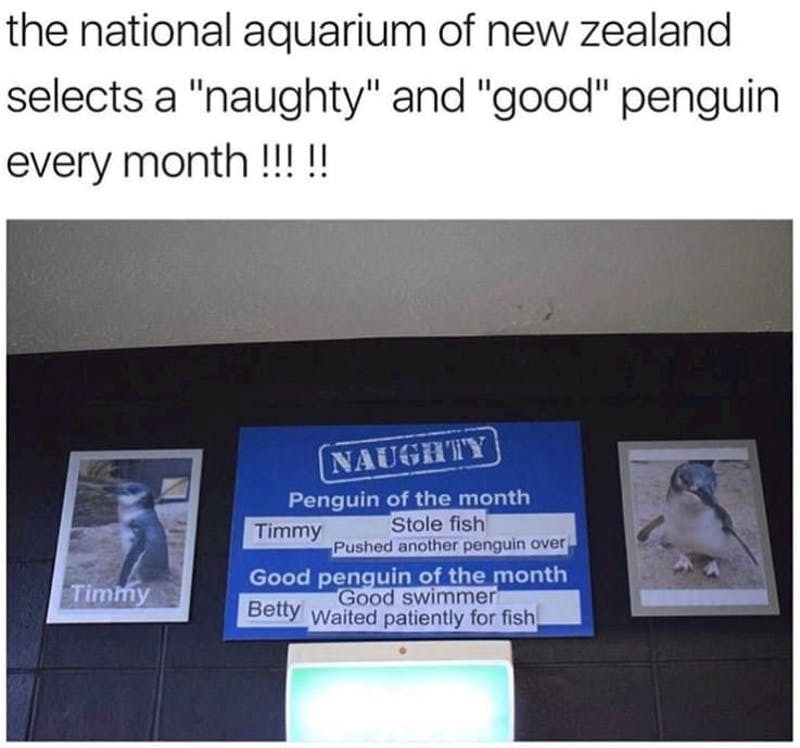 In this case, however, the penguins would hardly take note, because they cannot read. 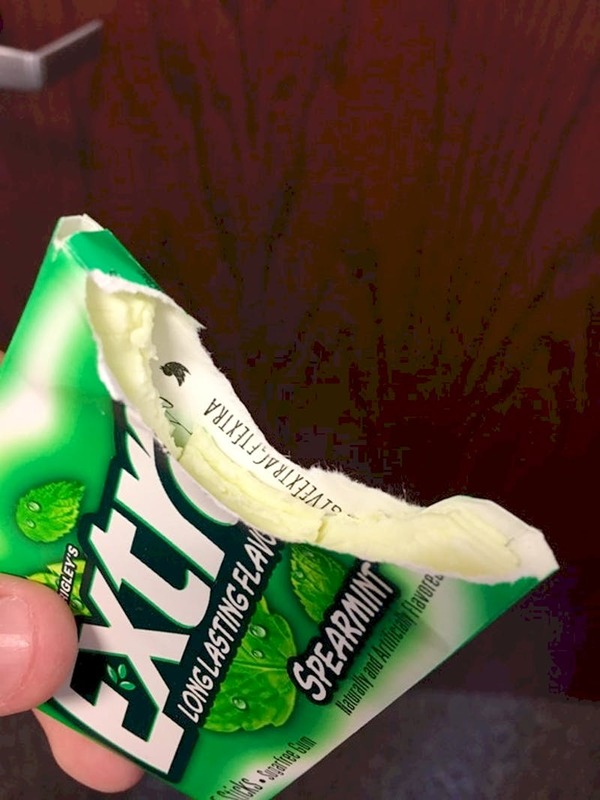 Seeing this actually made us cringe, and we cannot tell if the person who took a bite of all the gum pieces at once did it while they were still unwrapped. The package is torn and this is obvious to see, but it does not appear to be torn by someone’s teeth. However, biting into those gum strips like that looks like an excessive thing to do, and it does not look pretty, either! After taking some time to stare at the image, you will realize that your eyes are not deceiving you and you are actually looking at a woman who put a shirt backwards! This is definitely not in compliance with the concept of wearing a shirt, and we are not sure if she has the right idea of how to put one on. 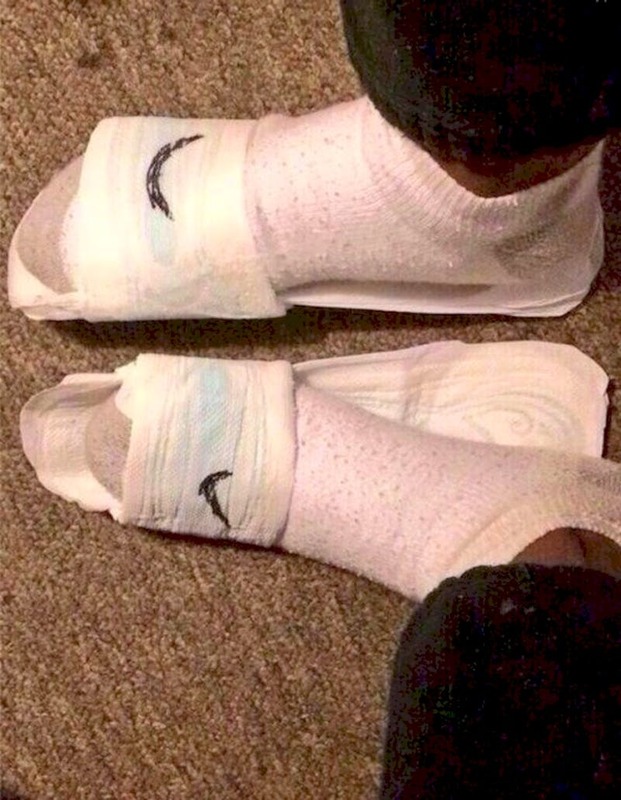 We have been in a situation when we put a sock backwards, but this is whole different level! 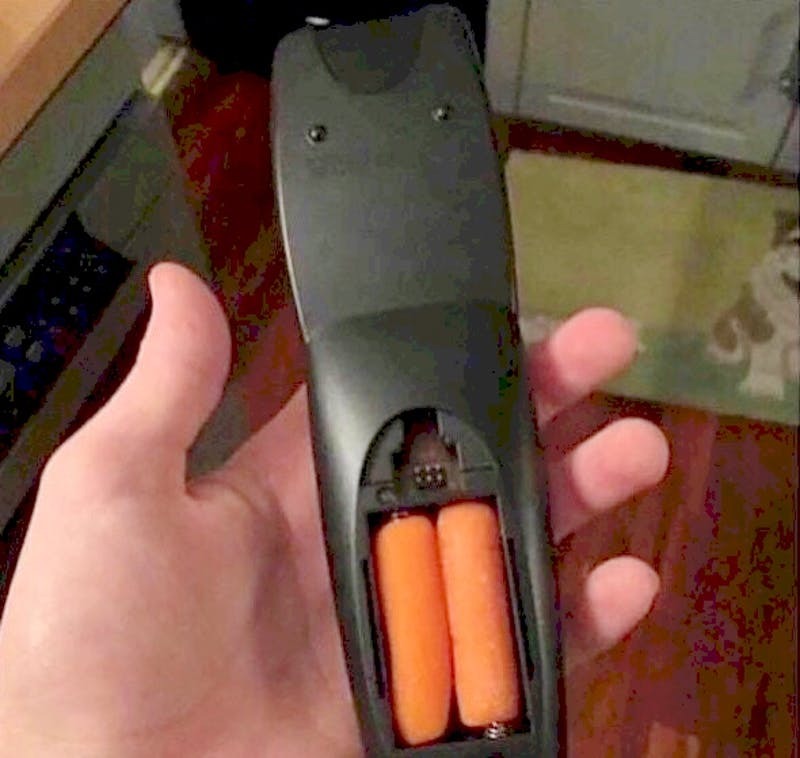 Seeing this made us believe that the person who came up with the idea thought that carrots were similar enough to potatoes and that they also hold some electrical charge. We, we would actually be surprised if this turns out to be a working solution, but there are no chances of that happening. However, we believe that this could be a perfect prank! Some people are all about the brand name, and they are willing to do anything in order to get their hands on merchandise with their favorite logo on it. In this case, someone decided to save some cash and decided to give a DIY project a go. We are not sure if the end result is convincing enough, though! 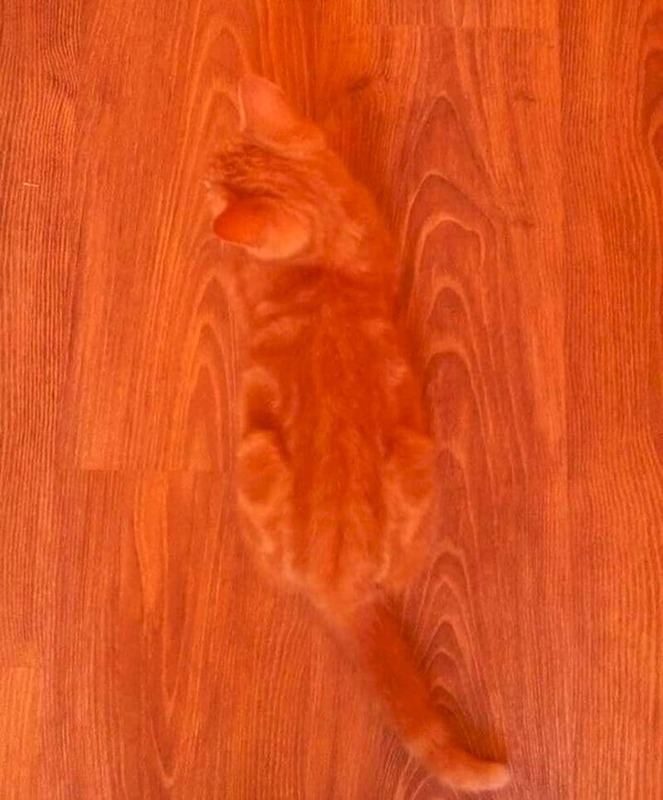 Well, the kitten did a really good job blending in, but this is a dangerous game to play! Someone could step on the poor thing, and we hope nothing bad happened to it! People should be careful with tiny pets in the house. It looks like a typical sign, right? 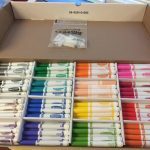 Well, it is, but it has a small design flaw that could make every perfectionist furious! Take a look at the armpits of the figure on the left. They are different in length! 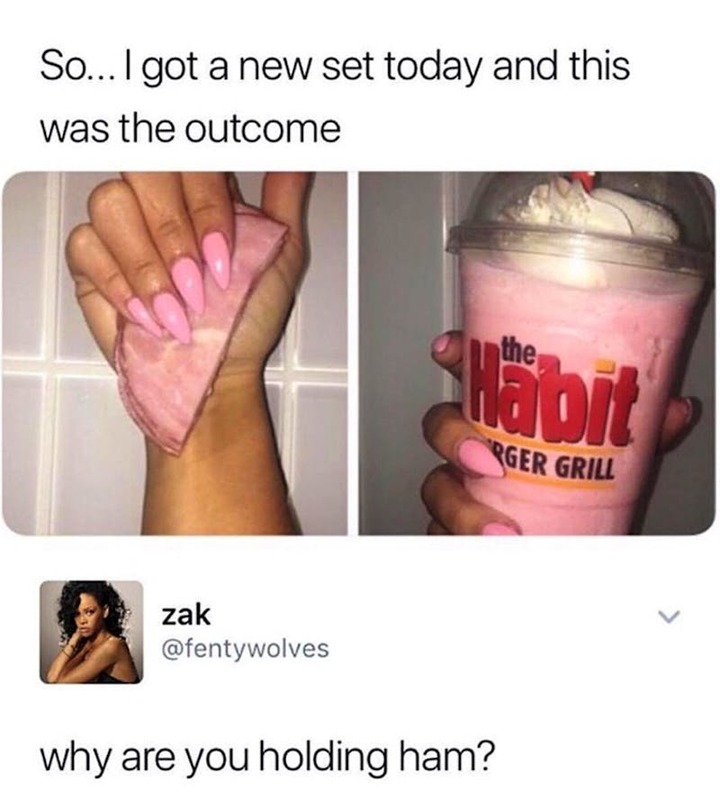 One of those ways is surely trying to highlight your new nail color by matching it to things such as a piece of ham! 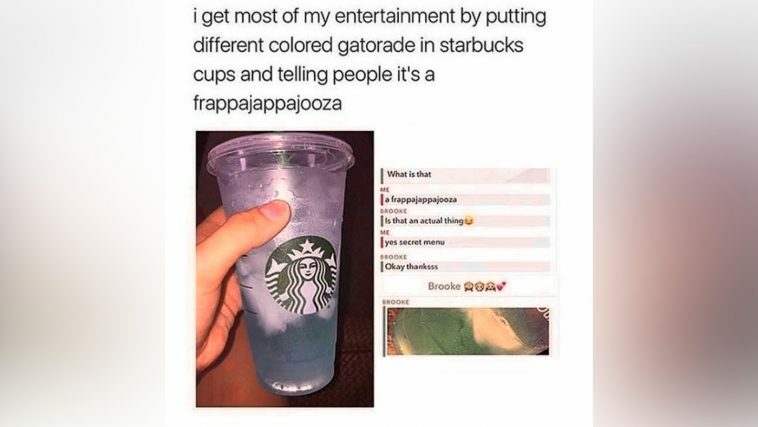 There were surely better ways to do it, but they would not be nearly as funny as this! It seems that people online were not able to identify this one as well! Maybe it was a part of some pattern set for painters, or something similar. 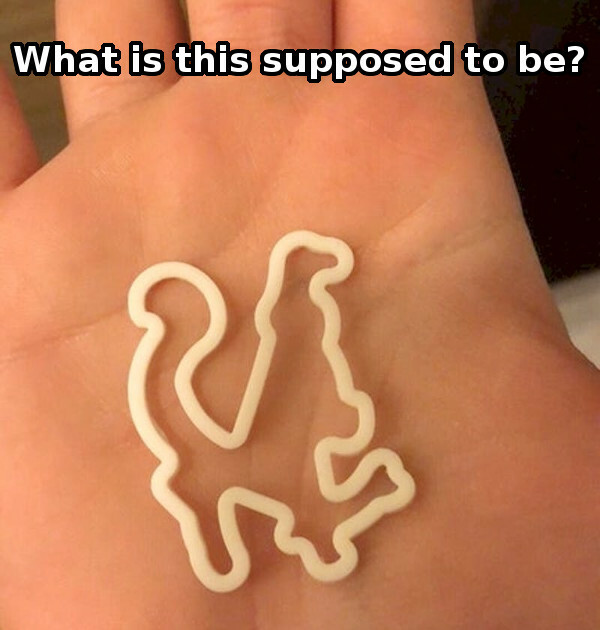 It kind of reminds us of an animal, but the shape is too complicated. This is a mystery!